In his LRB essay on Jean-Philippe Toussaint (‘Stabbing the Olive’, Vol. 32 No. 3 · 11 February 2010, pp. 26-28, see previous post), Tom McCarthy praised Toussaint’s essay Le Melancholie de Zidane, the Belgian author’s lyrical appraisal of Zidane’s performance in the 2006 football World Cup Final. McCarthy highlighted Toussaint’s interest in geometry; his invocation of Zeno’s paradox to understand Zidane’s headbutt into Materazzi’s chest as an attempt to “short-circuit finitude”. I want to translate Toussaint, indeed to translate him to the power of two: from French to English; from association football to rugby football. The player analogous with Zidane at this rugby world cup is New Zealand’s captain, open-side flanker Richie McCaw, a player as instinctive and unique as the French midfielder, a player who has recast his sport and who, having passed a hundred caps, nears his own retirement. It is possible to switch elements in this equation, but in performing the translations we must balance out. First we must squash the ball. 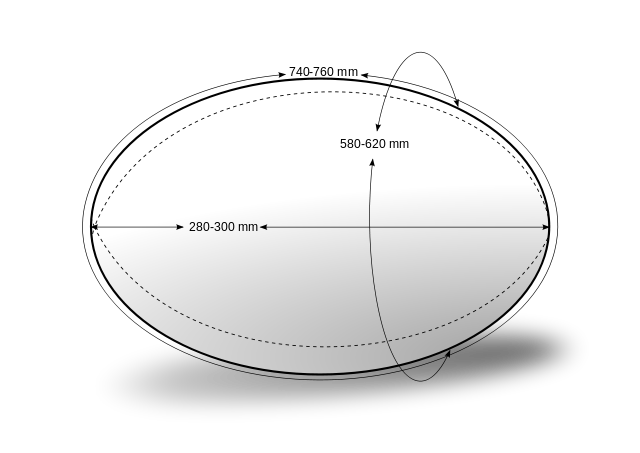 We’re dealing with an ellipsoid rather than a sphere, but it still all revolves around the ball, the quasi-object that brings the collective into being, dictating the shape of the game, the patterns and waves of its human thermodynamics: understand that and you have it all in your hands. The quasi-object performs this role as long as it is in motion. As soon as it stops moving, it ceases to be a quasi-object, becomes just another moulded plastic egg. It seems too good to be true that the point in open play at which the ball stops moving is called the breakdown: deny the ellipsoid its quasi-objective status and the game breaks down. As England demonstrated, if you attempt to enforce your own pattern too hard, attempt to make the ball do your will and your will alone, it will not perform as you would like it to. Some essential quality of the game is lost (see also Scotland, and their English coach, for a text-book demonstration of patterned objectification of the ball). Allow the ball to define you within the closed system of the game, however, allow it to exert its influence dependent upon its relation to you and the other members of the collective, and then it begins to emerge: the true game. McCaw is the ultimate geometer of this true game, a Thales intuiting his science from the ellipsoid rather than the pyramid. As a breakdown technician, the man responsible for maintaining the motion of the ball in play, lines of run must be persistently recalibrated, the mind becoming an anti-aircraft gunnery system, recalculating trajectory at each event along the ball’s path. Pace alone won’t get you there – although he has it in spades: you need to be able to reconfigure, respond, process information and run the routines. Williams slips it to Nonu, you’re still heading for zone A, where Jane will take it at pace. Nonu fumbles and you cut deep into zone B, switch to a recovery remit, ready to swoop onto a grounded ball. When you arrive the immediate shape in which you organise your limbs is all-important, the angle between back and thigh, the hinge. You need to achieve equilibrium; your upper body cannot overbalance. The setting of the feet is crucial, a strong base required to withstand the impacts that will come as your opponents, lagging by two metres due to inferior angle readjustment, pile in. Trapezoid is the best fit. Perspective too is crucial, maybe even sleight of hand, that combination of speed of movement and obfuscation that so infuriates oppositions throughout the world: that they call him a cheat only proves how close he is to perfecting it. That they suggest referees have been suckered only goes to show that he’s got it right. Because the law is ambiguous, it’s about interpretation (as are all laws). McCaw interprets it correctly, allows the pieces to fall around the moving line within its range of movement. His hands are on the ball and pulling it away, his body remains off the ground. Then his hands are off the ball. The ball is on the right side. The impacts knock him over. He’s done it. Or if he hasn’t, he’s slowed it, and pulled his hands out in that thickened second in which the referee might blow. Photo by Trevor Coady. This file is licensed under the Creative Commons Attribution-Share Alike 2.0 Generic license. Tonight, as always, McCaw is in the moment. But can his team be in that moment too? Can they get through without the mass of a nation bearing down on them? All that angst: you can’t transmute it. They’ve been stuck in a compulsion to repeat, repeat defeat. They don the mourning colours but the defeats remain unmourned! Melancholia. Catharsis required: McCaw the dart to the heart of the problem. He’s a glider pilot: it’s no coincidence. 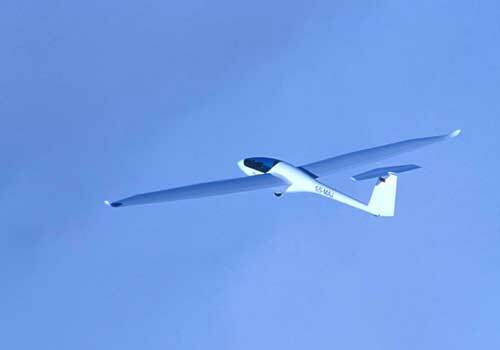 Gliding is the poetry of three-dimensional geometry. The human, confined to the surface of a sphere for most of his activities, only briefly raised above it by his line-out lifters, gains unpowered access to the unvaulted space of the sky. “You’re using the atmosphere, the wind, and whatever the sun is doing, and you have to learn how to use those elements to stay up in the air — and then be able to go somewhere,” he told Scott Kara of the New Zealand Herald. “I just love being up there. It’s the closest thing to having wings on your back.” Has Thales become Icarus? Perhaps the wings are on his sandals; he’s more like Hermes, an intermediary, finding the route through the complex system. The 1924 All Blacks who toured the UK, Ireland, France and Canada, and were nicknamed The Invincibles, performed the Ko Niu Tireni haka. Both in its original form, and the noisier version immersed by James Joyce, who saw the Invincibles play in Paris in 1925, in the spume of Finnegan’s Wake, we read and hear meteorology, ascent. “The New Zealand storm is about to break”, they chanted (“The Wullingthund sturm is breaking”, wrote Joyce, “The sound of maormaoring, The Wellingthund sturm waxes fuercilier”, his prose washed over by associative noise, signal distorted). “We shall attain the zenith the utmost heights,” they finished. McCaw, in his glider, attaining the zenith. The conditions near Omarama where McCaw flies are excellent for gliding. Lenticular clouds form along the lea of the Southern Alps, where hot air rises from the mountains. McCaw can glide for long distances. It’s all about the weather, as it was for his grandfather, who flew Typhoons, Tempests and Hurricanes in the Second World War. Thinking nothing, McCaw looks up at the Auckland sky, a white sky spun with grey clouds and blue reflections, one of those powerfully and tumultuously windswept skies of Flemish painting. McCaw swoops and arcs into the next thermal, which he rides to gain height: static in the column of warmer air, desperate to use one form of temps, weather, to suspend the other. If only he could keep rising forever, in that shaft of more agitated gas. If only he could always be tracking towards a breakdown that never comes. If only the final whistle could not be heard, all sound drowned in a vacuum. A modified translation of the first paragraph of Toussaint’s essay Le Melancholie de Zidane (Editions Minuit, Paris: 2006).